Guide to Understanding the Different Levels of Holster Retention: Which one Should you get? When it comes to securing the weapon inside a holster, customers would always hear about the retention level of holsters. The holster retention levels refer to the degree of the capability of the holster to hold the gun securely in its place. A passive retention means that the wearer of the holster just have to get the weapon out, unlike in active retention holster where there are parts to be unlocked or pushed before the gun can be unholstered. This refers to the holster that only has friction and gravity to rely on to be able to hold the gun in place tightly. This holster is made without other additional features such as straps and buttons, among others. Holstering and withdrawing the gun in and out of the holster is very easy. Holsters at level 1 are usually the most inexpensive holsters, but these do not offer much security when there are lots of movements as the gun could go out of the holster. In reality, another person can seize the gun from the wearer. In addition, if this holster is made from leather, the characteristic of the holster can be affected by extreme environmental conditions such as heat and humidity. This level is the only one relying on only passive retention holster to secure the gun in place. This level of retention holster has a thumb break or a trigger guard lock, such as a strap or a flap covering the hammer of the gun is added to the holster. Unlike the Level I holster, the gun is more secure in place using a Level II holster because the added features make it harder for the gun to fall off the holster. The flap of strap needs to be unlocked first in order to free the gun for use. This holster retention level is the minimum requirement for the use of holsters for law enforcement. This is one that is very reliable in securing the gun in place. The holsters belonging in this level are made with the features mentioned in both Level I and Level II holster, and more. For instance, the gun should be pushed, pulled, or rotated before the holster could release it. The downward force of gravity, the friction, as well as straps and guard locks, are not the only retention Level III holsters have, for these holsters also have buttons that need to be unlocked first. These holsters are more commonly used by the law enforcement. When used correctly, the gun is difficult to unholster by an outside person from the wearer. Users of Level III holsters have to undergo proper training on how to use these holsters for maximum weapon security. Level III holsters are expensive. A Higher level of the holster, such as the Level IV retention holster offers the highest retention among all of these holsters. 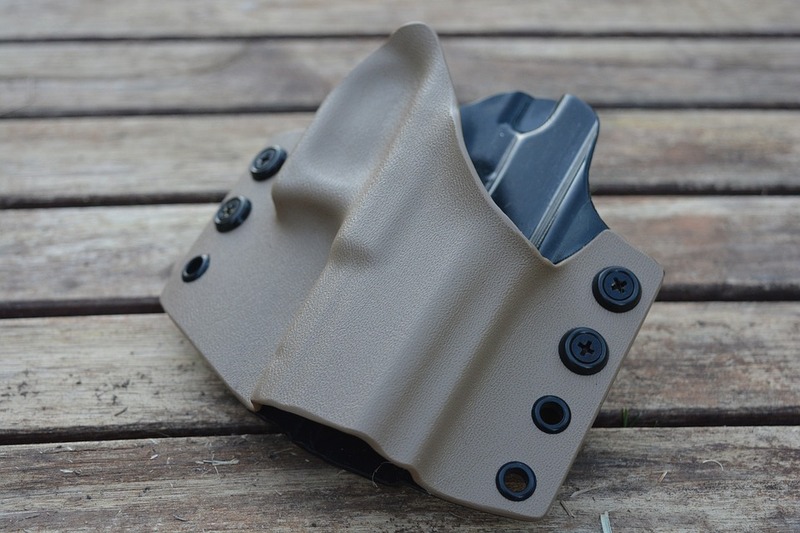 All of the retention features of the lower level holsters are incorporated, but there are still added retention features, making it extremely difficult, if not impossible, for other people aside from the wearer to unholster it. The use of the different levels of holsters varies depending on the field where the wearer operates. For most civilians, either Level I or Level II holster are enough to secure their guns in places, but still, they can opt to use the higher level ones for an added cost. Higher level holsters would be very difficult to use for them unless they train enough on how to properly use the said holster. On the other hand, Level III and IV holsters are usually for the law enforcement officers, since there are lots of movements involved that the lower levels of holsters couldn’t provide enough weapon security. Thanks for the clarification guy. Easy to read and understand. What do you suggest for around the house carry OWB/IWB for practice in front of a mirror boardering to competition IPSC where timing is everything. I would go for the Model 6378 or a Bladetech Signature. Make sure you research the features of each of them before you make a decision.